Maybe “Michelle” will become the next “Times New Roman” – my books. my life. (Please excuse the right/write incident – that one kills me every time). Share the link with me if you decide to try it, too. Good luck. This is wonderful! Thanks for this post! 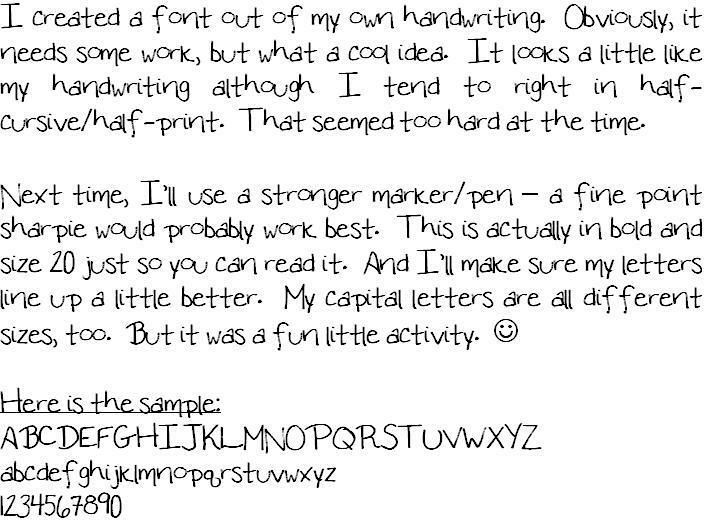 I am planning to create my own font soon 🙂 I am also going to recommend this to all my friends! I made mine a while ago, maybe I'll make a new one though, it looked really wonkey :p Your handwriting is nice!